Resembles Dichanthium but has a groove in the rame axis. Recognition: About 30-45cm. tall. 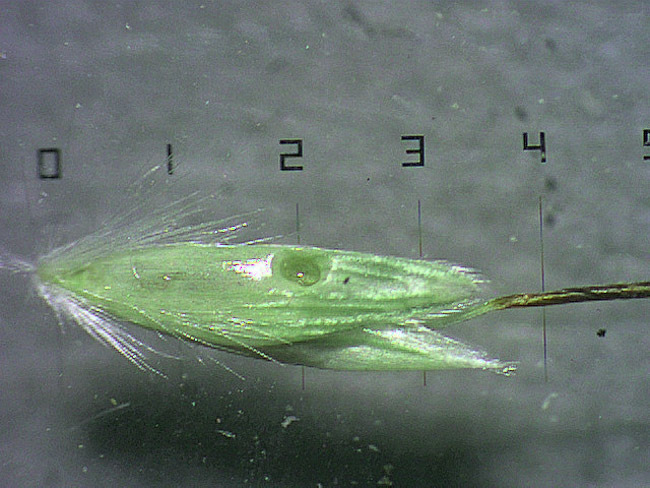 Inflorescence fingerlike, each finger having long-awned spikelets. 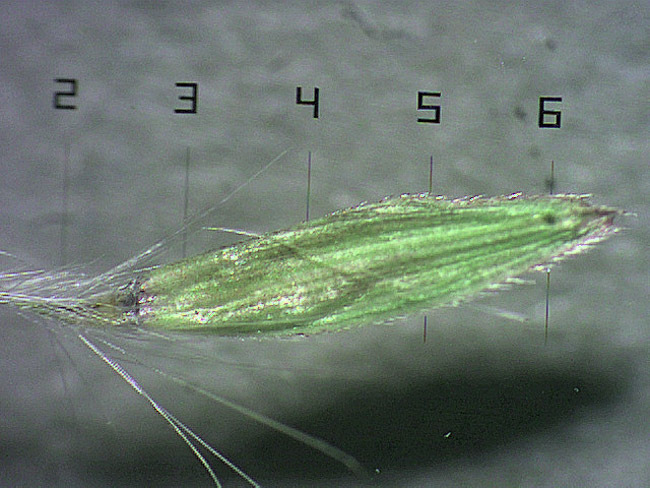 Each spikelet has a conspicuous gland (pit) in the glume. 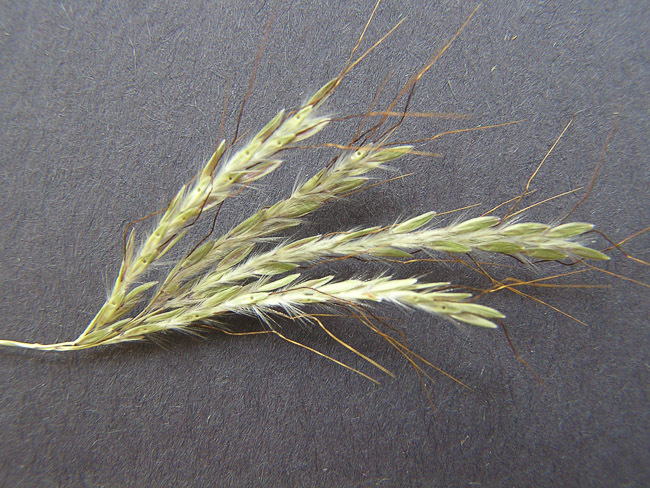 Bothriochloa ischaemum (L.) Keng var. songarica (Rupr. ex Fisch. & C.A. Mey.) Celarier & J.R.Harlan is an introduced species in Miami-Dade County and along the west coast of Florida. It is presently rare in our area. 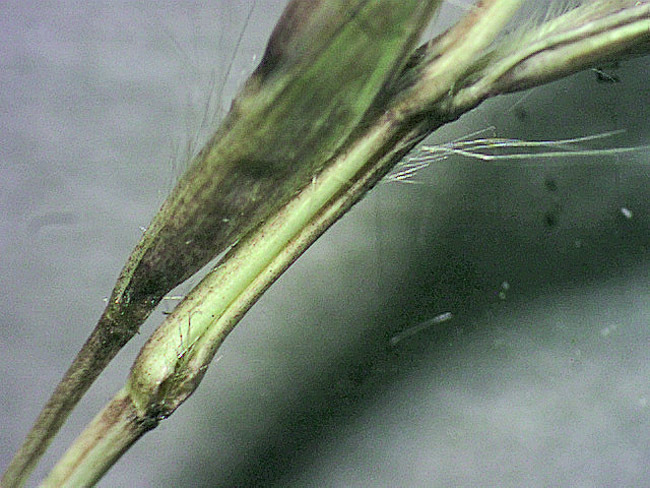 This variety lacks the pit in the glume characteristic of B. pertusa, and differs from Dichanthium by having a groove in the rame axis (see photo below for similar groove in B. pertusa). See also Dichanthium.